Promoter Dennis Hobson has hailed his partnership with Freesports TV (Sky channel 424 and via Freeview/Youview on channel 95), after some terrific action at Sheffield’s Ponds Forge Arena last Friday (February 2) that saw fight fans tuning in to a double title-fight bill on the free-to-air channel. In a chief support thriller, Guernsey’s Brad Watson and local favourite Loua Nassa engaged in a seesaw battle for the vacant English super-flyweight title, that had fans on the edge of their seats. Nassa was unbeaten in 10-fights heading into the bout; while ‘Glamour Boy’ Watson also had 10 victories, but was the betting underdog after a pair of consecutive defeats had marred his pre-fight record. Nassa started strongly and appeared to be in total control of the early rounds, but Watson was persistent. The Channel Islander’s pressure eventually told when he had his man down in the sixth, before another two knockdowns in the final tenth round saw the action waved off. British bantamweight king, Josh Wale, took top billing on the night, in the second defence of his crown against Bobby Jenkinson. With just three defeats from 15 outings, Lincolnshire’s Jenkinson was expected to prove a handful for Wale but the champion from Barnsley wasn’t to be denied. Wale, 26-9-2 (13), achieved his dream of winning the Lonsdale Belt last year after a decade as a pro, and the 29-year-old won’t be giving up his prize easily. ‘The Outlaw’ had a measured start to the fight, but eventually got on top of his game challenger, outgunning Jenkinson and then stopping him in the ninth. 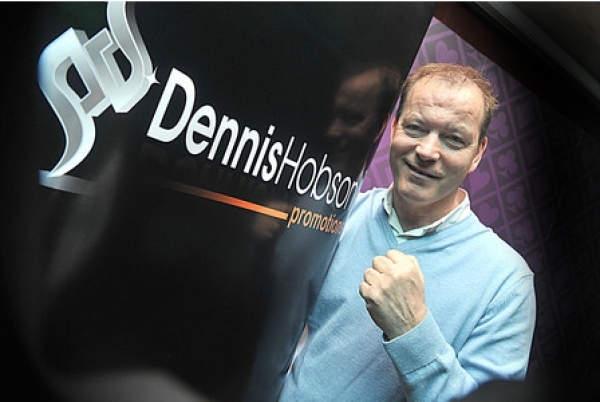 “As a promoter, you can only hope you match kids and that styles-wise they’ll be good fights,” explained Hobson. “I thought these fights would be good, like I did [Liam] Cameron against [Sam] Sheedy, but they surpassed what I was expecting. The two headline fights were crackers; I did think beforehand that the English title fight would be the pick, other people weren’t so sure, but obviously with the excitement that unfolded it was brilliant. Apparently, Brad Watson needed to win the last round to get a draw, so there was a lot of drama there. “From a television point of view, it was also great. We had Glenn McCrory and Dominic McGuinness on presenting duty, and it was completely polished. We obviously haven’t got the big machine that Matchroom has but, as regards entertainment, we more than matched Matchroom.